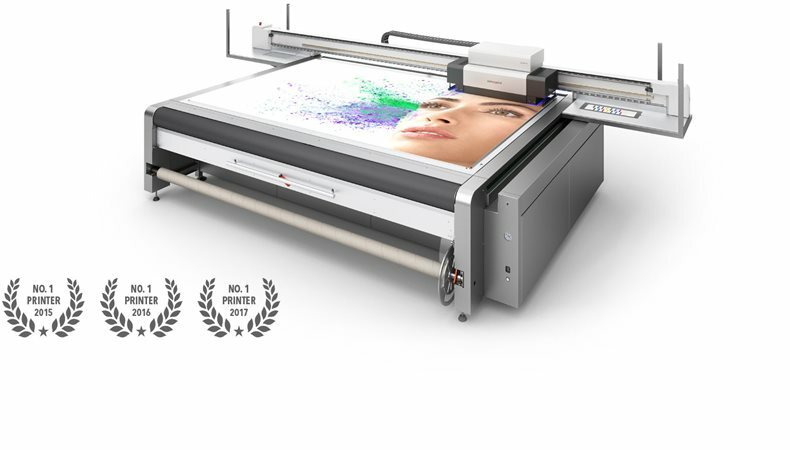 According to Geneva based market research company Infosource, last year the Nyala was Europe’s best-selling printer amongst UV flatbed/hybrid printers larger than 60 inches (152.4cm) wide that are priced between €130,000 – €500,000 compared to other brands surveyed in 2017. This victory means that Nyala has won first place for the third time in a row. UV inkjet printers that are manufactured in Switzerland offers a convincing price/performance ratio, especially in regard to the latest series using LED technology. The Nyala LED was first previewed at FESPA 2017 and has since replaced its predecessor, the Nyala 2 model (with unconventional UV curing). Today, the LED technology features immensely reduced power consumption and extends the wide range of applications and materials due to low heat emission. In addition, the LED systems leaves a small environmental footprint due to low power consumption, non-pollution components and modest maintenance requirements. The current swissQprint range includes 3 models with varying dimensions and productivity. The Nyala LED (3.2×2 m flatbed, 206 m2/h maximum output), the Impala LED (2.5×2 m flatbed, 180 m2/h maximum output) and the Oryx LED (2.5×2 m flatbed, 65 m2/h maximum output). All models feature modular design and a free choice of ink configurations to ensure that users can get a printer configured to their necessary needs whilst providing them with the option to later expand. Such a possibility for phased investment can make it easier to get starting with digital printing which results in the machine growing with the company. This modularity contributes to success, both for Nyala and swissQprint.